I always enjoy blogs about fashion even if I don't take it that seriously. 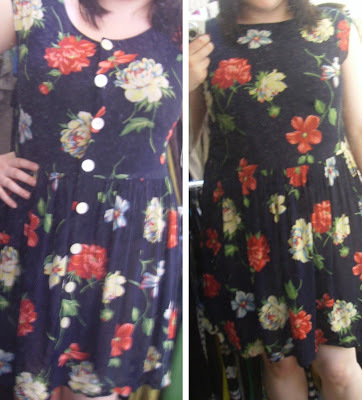 I've wanted to post about the Banana Republic dress I got in a charity shop for £3.99 last weekend for a while - Bargain! The buttons go at the front but I reckon I could get away with wearing it the other way round as well. I love it. Just need to get a pretty little belt to pull it in a little and I'll be sorted!